I’ve spoken about my love for the YSL Touche Eclat many times on my blog, but being YSL means it comes with the highend purse damaging £25 price tag. I’ve repurchased it so many times over the past 5/6 years, and as much as I love it I just think of all that money I’ve spent on it! It was time I found a dupe. 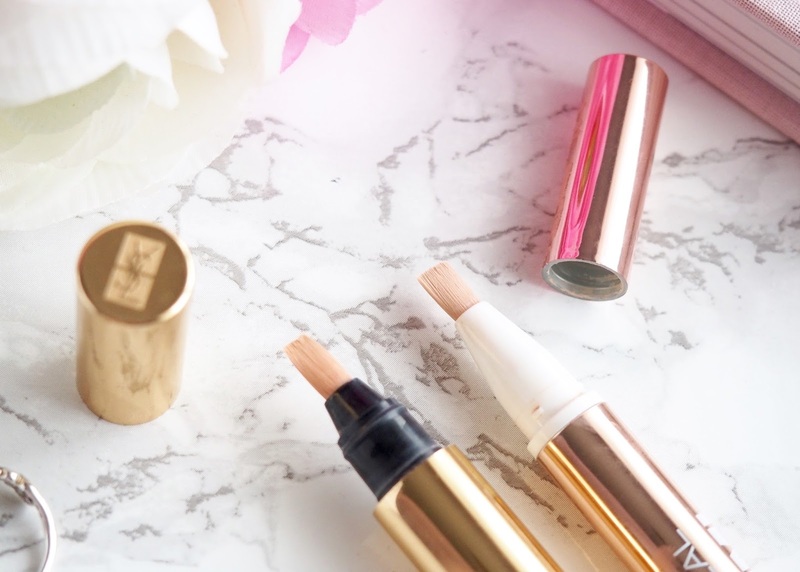 On the quest to find an alternative to my beloved Touche Eclat, I came across the L’Oreal Lumi Magique Concealer, being from the drugstore means it’s much more purse friendly so I thought it was worth a try. L’oreal are a huge company, and they actually own YSL so I was interested to see how the two compare. The reason I like pen style concealers so much is because I love how easy they are to use, don’t cake and aren’t drying on my undereye area. I see a lot of people complaining about products like the Touche Eclat not covering dark undereyes but pen style concealers just don’t do that. Yes you’re provided a light to medium coverage but they’re more like a highlighter, if it’s full coverage you want then these aren’t the concealer for you. If I’m wearing a full face of makeup then I like to use a small amount above my concealer to bring some light and highlight to areas such as under my eyes, down my nose, cupids bow and brow bone, and on a daily basis then I’ll just wear them alone as I personally find the coverage enough. Now have I found a dupe for the Touche Eclat? Yes, in fact I’ve even found a product I love more – I never thought the day would come! Don’t get me wrong, I love the Touche Eclat dearly and I have done for many years but I just get on better with the Lumi Magique and it’s only a fraction of the price! The Lumi Magique has a slightly thicker consistency but I’d say it provides the same, if not a bit more coverage compared to the Touche Eclat. The application, blending and finish are practically identical! They also last the same amount of time on my skin, which is all day. I wore one on each eye and I just couldn’t tell a difference, and me being the idiot I am totally forgot which one I was wearing on which side. 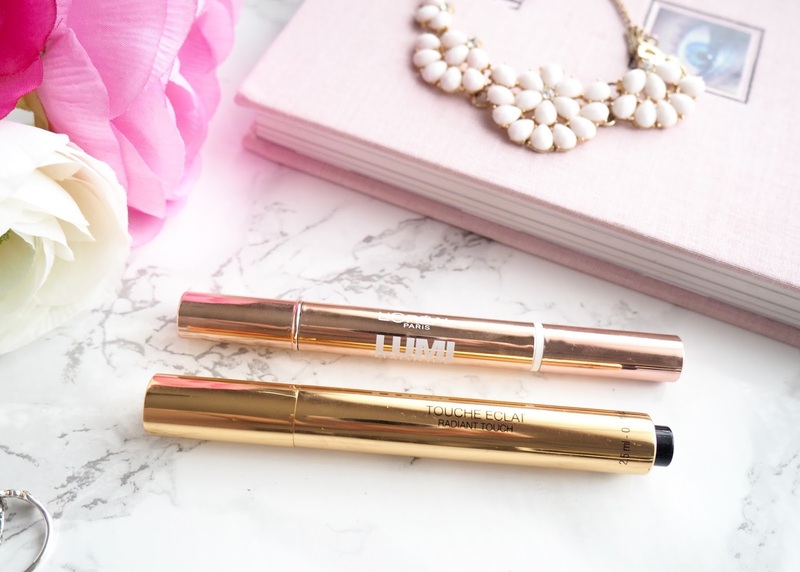 Packaging wise, the Touche Eclat will always win as YSL packaging is my favourite, but the Lumi Magique also has beautiful rose gold packaging that doesn’t feel cheap or as if it’s going to break. Both the pens have the applicator tip, but the Touche Eclat has a push button and with the Lumi Magique you have to twist the end, which I personally prefer. I’ve found in the past the clickers on my Touche Eclat can be a bit tricky and don’t always dispense a lot of product. As for the shades, the Touche Eclat comes in a lot more varieties than the Lumi Magique who don’t seem to cater for darker skin. Me being the ghost that I am wears shade 1 in YSL and shade 2 in L’Oreal. When I swatched the L’Oreal concealers in store, I found shade 2 lighter and more pink toned than shade 1 so it’s perfect for my skin. 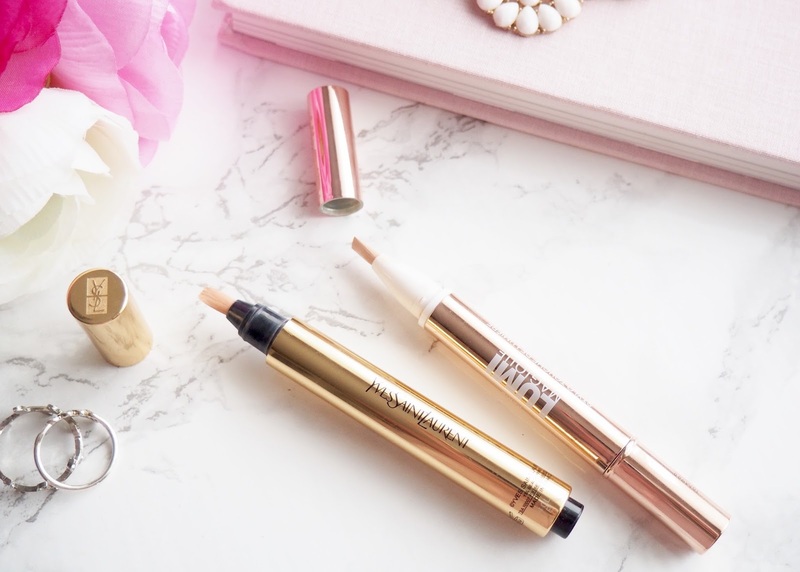 Overall I’m so glad that I came across the L’Oreal Lumi Magique Concealer and it’s the one that I’ll certainly be repurchasing out of the two! I really do love it and the price wins hands down. Have you tried either of these? What’s your opinion?